Computer networks have allowed businesses to unify their operations over the years. These systems connected office hardware to enable a safer file storage and easier resource sharing among employees. I could go on and on about its benefits, but the bottomline is that computer networks have proved to be an asset in the business landscape. This is why being able to properly configure these networks to cater to the needs of your operations is more important than ever. A surefire way to do this is through the use of network management software. This type of software is often equipped with tools that handle device configuration, crash recovery, inventory management, and change management to optimize network stability and security. Useful in streamlining network maintenance, repair, and expansion, it also enables IT professionals address a number of network management concerns. Among these many issues involve human error, data loss, poor system performance, and unstable connectivity. In the Yankee Group survey of 229 network operators, results showed that human error is the second-largest cause of outages. Additionally, as you can see on the table provided, other major challenges of network operators are data loss (31%), poor system performance (28%), and unstable connectivity (16%). By using a network management system for your workplace, you can easily curb these problems and benefit from the improved operational functionality of your equipment. One of the best examples of this software is ManageEngine Network Configuration Manager. This platform prides itself on simplifying network maintenance through insightful reporting and intuitive automation. In this article, we will be discussing the pros and cons of ManageEngine Network Configuration Manager to help you gauge whether or not this software is ideal for your operations. Trusted by Princeton University, Lightyear Network Solutions, and Bovertis B.V., this software stands out from its competitors because of scalable interface, easy-to-use tools, rapid disaster recovery, and insightful reporting. This way, repetitive tasks can be become automated and you can get complete visibility of your network without hassle. The vendor offers a great free demo of their product that allows you to see all the key features in action. You can easily sign up for ManageEngine free demo here. Now that we have discussed what this software is and what it can do for your operations, we can start breaking down the pros and cons of ManageEngine Network Configuration Manager. As mentioned earlier, Network Configuration Manager’s interface is built to scale up or down according to the needs of your business. This makes it ideal for small startups, medium-sized companies, and large enterprises. Whether your workplace’s network only consists of two computers or 100 computers plus auxiliary devices, you can count on this software to have the tools you require to manage them. Company computers are used not only to create and store business documents; it is also used for communicating with clients and employees as well as overseeing your entire operations. To ensure the stability and security your network, Network Configuration Manager offers role-based access options that you can program however you like. This way, you can ensure that no unauthorized personnel will be able to toggle with your system. On top of that, the platform is designed to send notifications to administrators everytime changes are made to your network. No matter how experienced you or your network operators may be, it is possible for you to encounter glitches with your programming. Luckily, Network Configuration Manager offers a rapid disaster recovery option that will allow you to rollback to a previously known good configuration. This way, you can greatly minimize network downtime and ensure that routine configurations won’t get in the way of your operations. As with any other software, you may still encounter technical difficulties as you use this software. Luckily, Network Configuration Manager offers technical support via email, phone, or ticketing system. They also have resource center of troubleshooting tips in case you are unable to reach their customer support team as quickly as you’d like. The vendor also facilitates a user forum where you can connect with fellow Network Configuration Manager users.  While they have fast and reliable support options, however, no customer training options are available for this product. This means, you’ll have to explore the application on your own—find out how you can make it work for you, determine how to use each function, etc. Configuring networks require numerous labor-intensive tasks. With Network Configuration Manager’s high level of automation, you can reduce the amount of time and effort you spend on these tasks. If you need to apply the same group of changes to multiple devices, then you can simply type up the code and use the platform to automate the input process. This feature is especially helpful for companies who maintain a large number of devices in their network. Keeping tabs on the effects of configuration changes is just as important as being able to configure your networks properly. This is why another great aspect of Network Configuration Manager is that it captures all your device configuration details automatically. These details and any changes to it are then provided in the form of intuitive, user-friendly graphical reports. With this, you can get a bird’s eye view of your network’s performance and be able to pinpoint and resolve anomalies with your configuration. 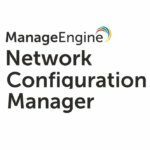 ManageEngine Network Configuration Manager goes beyond helping you monitor and maintain your computer network. This platform also has features that allow you to stay on top of multitude of compliance regulations and make sure that your devices remain compliant at all times. This way, you can adhere to internal security policies, standard practices, industrial guidelines, and government regulations without hassle. It’s difficult enough to find devices that can handle the requirements of your operations. So, why should you waste more time trying to find a network management software that’s compatible with the devices you’ve chosen? To prevent you from having to do this, Network Configuration Manager offers multi-vendor support. Whether your devices are from Cisco, Juniper, or HP, you can be confident that this platform can seamlessly work with them. If you have a growing business, Network Configuration Manager is probably one of the best network management systems for you. Aside from being completely scalable, the vendor offers a Forever Free plan for SMBs who only manage two devices in their network. This will allow you to kickstart your operations’ network maintenance while ensuring that you won’t have to find a different platform once your network grows. All you’ll have to do is upgrade your plan. Do you prefer subscribing to software solutions or are you more comfortable with paying for licensing fees upfront? Whatever the case, Network Configuration Manager can provide you with flexible payment options. For companies who can spare a hefty amount of money, you may opt for a one-time payment which starts at $1995. If you prefer something a little more affordable, they have an annual subscription scheme which starts at $595. This payment plan is priced according to the number of devices you need the software to support. Take note, however, that this does not include technical support. The vendor charges extra for additional services. Like all software solutions, this platform has its fair share of both advantages and disadvantages. What matters most is that this program’s functionalities will be able to improve your operations better than its handicaps can hinder your network’s performance. With the pros and cons of ManageEngine Network Configuration Manager explained, we hope that you were able to get a better insight on whether or not this software is a good fit for your company. If you’re looking for more options in this field, our list of top IT management systems guide will get you up to speed identifying the unique features of the best network management solutions on the market today.